In my family, the Christmas stocking is a time honoured tradition. Every Christmas eve, we leave our stockings by the fireplace (Mam and Dad included) in anticipation of Christmas morning and the gifts they will contain. We all love this tradition. Our stockings are always filled with lots of little surprises from each other; personal, thoughtful gifts and often really useful products or gadgets. With Christmas almost upon us, the next two weeks will most likely be spent preparing for the big day, shopping for loved ones and buying gifts. With this in mind, I wanted to tell you about a product called It Tape and how it would make the ideal stocking filler. The perfect little gift for the Gardener or the DIY enthusiast in your life. This tape is versatile, reusable and very easy to use. What attracted me to it was how innovative the product was. It has 1,000's of uses inside and outside the home. It Tape kindly sent me some It Tape dispensers and refills so I could try the product for myself and report back here. 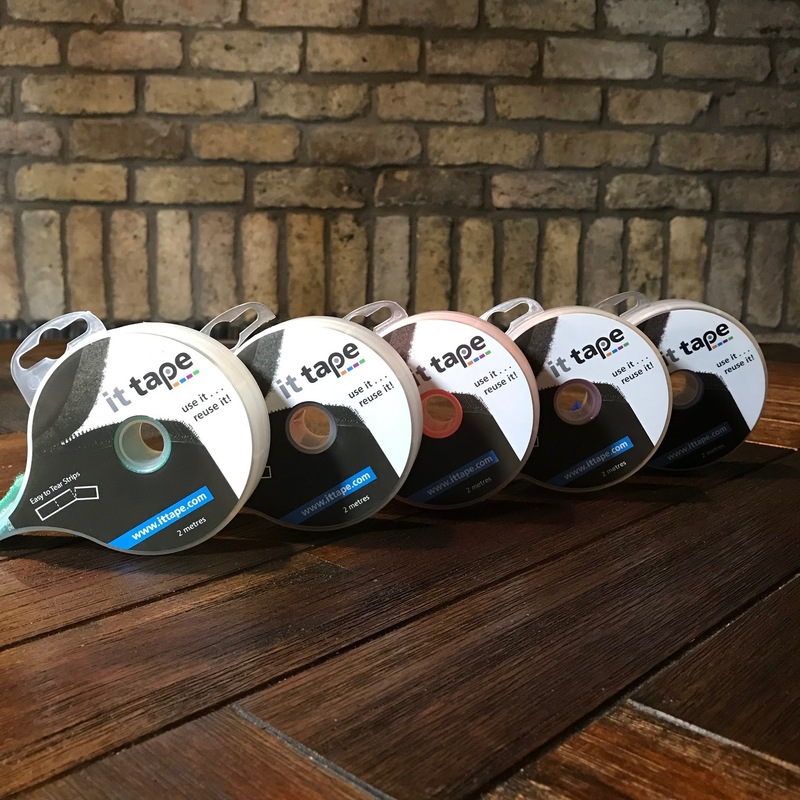 It Tape are an innovative Irish company. They are relatively new to the market but already are stocked in many locations around Ireland. I will provide links to stores, stockists and their own website below. 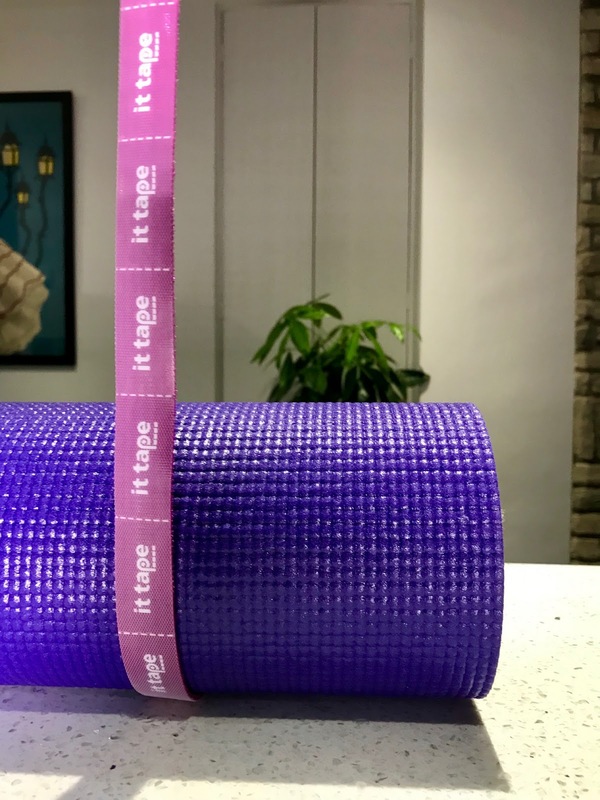 The tape is durable and strong and can be torn in sections without the need for a scissors. You just tear the length that you required. It is that simple. What is really genius about it is you can use it again and again. Tore the incorrect length? Don't worry, you can just add more on. 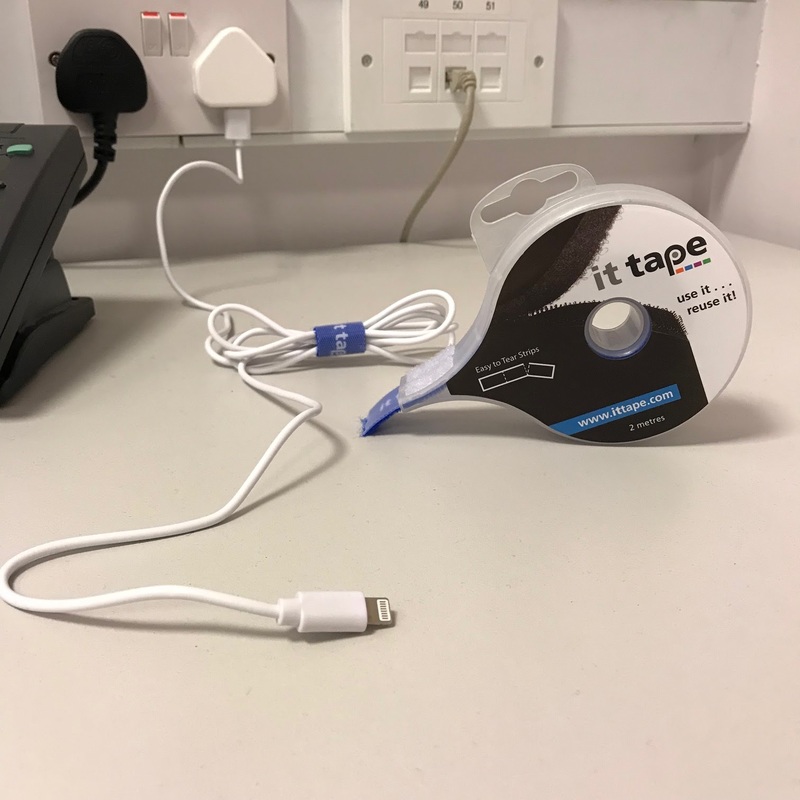 It tape has thousands of uses. Even as I am typing this post, new ways to use it are popping into my head. It can be used indoors and outdoors as it is very strong and durable. I have chosen a couple of uses around the home to demonstrate how useful the It tape actually is. The first example is the dreaded Christmas lights. 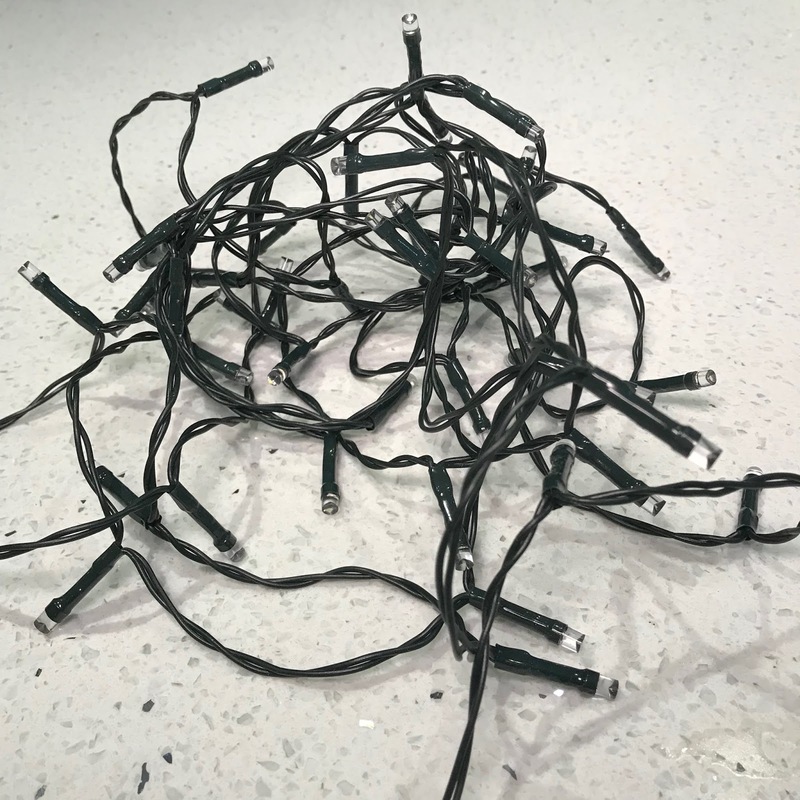 Every year they are the single most annoying decoration to put up and in our house, the lights are my job. Even though I pack them carefully into a box in January, they somehow mange to tangle themselves up come December!! It is a Christmas mystery really, isn't it? Enter It tape. 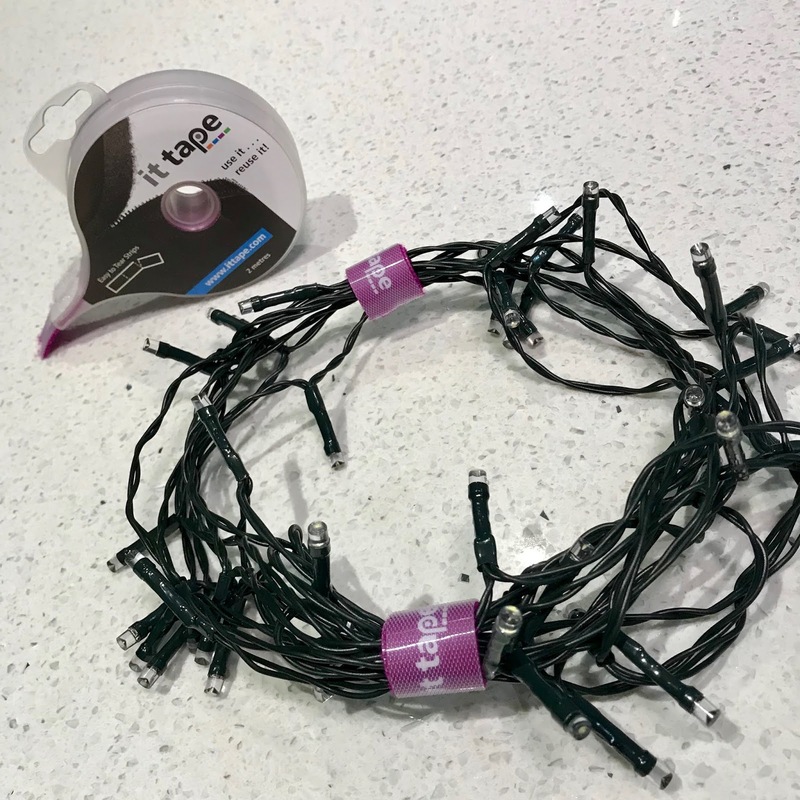 Simply tear of your required length and wrap it around your neatly gathered lights, guaranteeing they will be in a nice neat bundle next year. 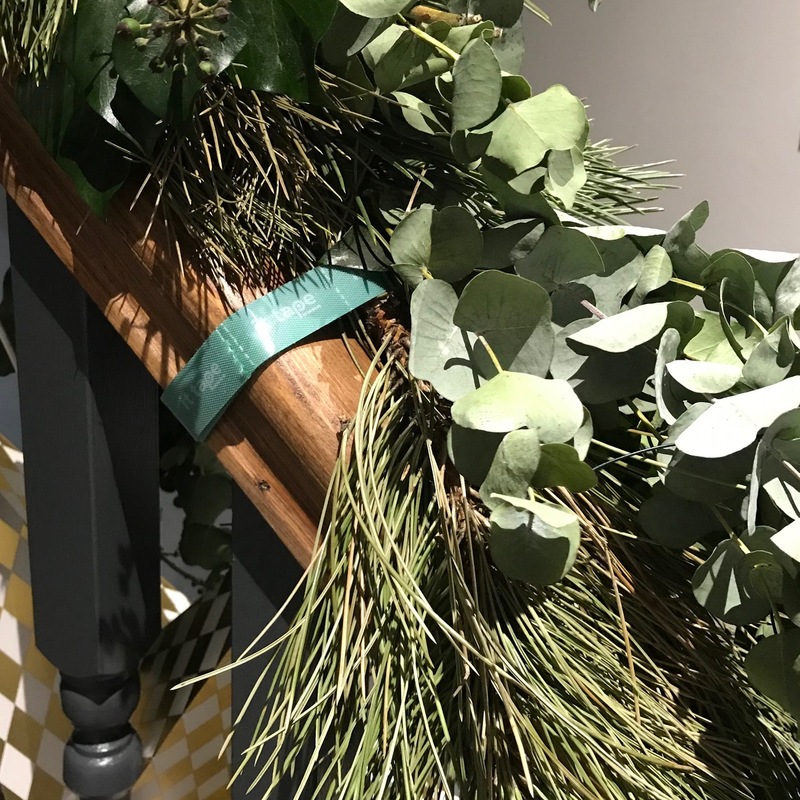 Recently I made a fresh garland for my staircase, made from foliage I foraged for in the garden. It got a LOT of love over on my Instagram grid. 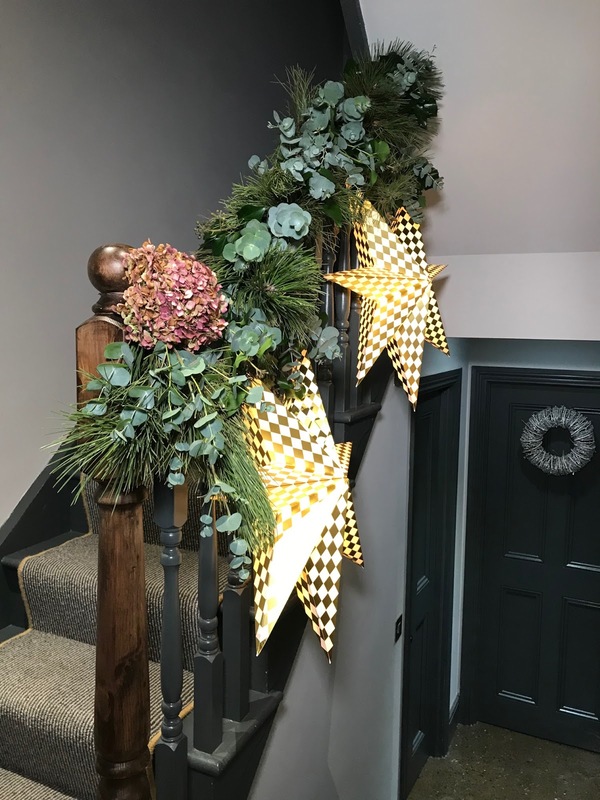 Details on how to make it are in another post here, but what I didn't mention was the garland is attached to the stairs using It tape. In previous years I have used florists wire, which left ugly marks on the handrail. 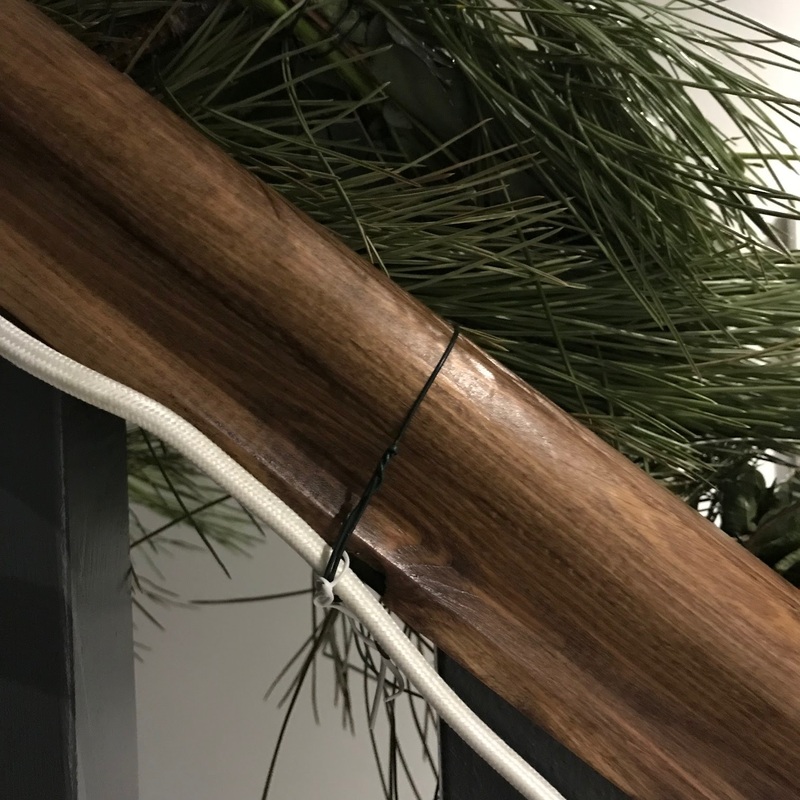 This year, thanks to It Tape, I was able to attach the garland quickly and easily, without any hassle. I am also delighted that my handrail will not be marked in any way. Win win! 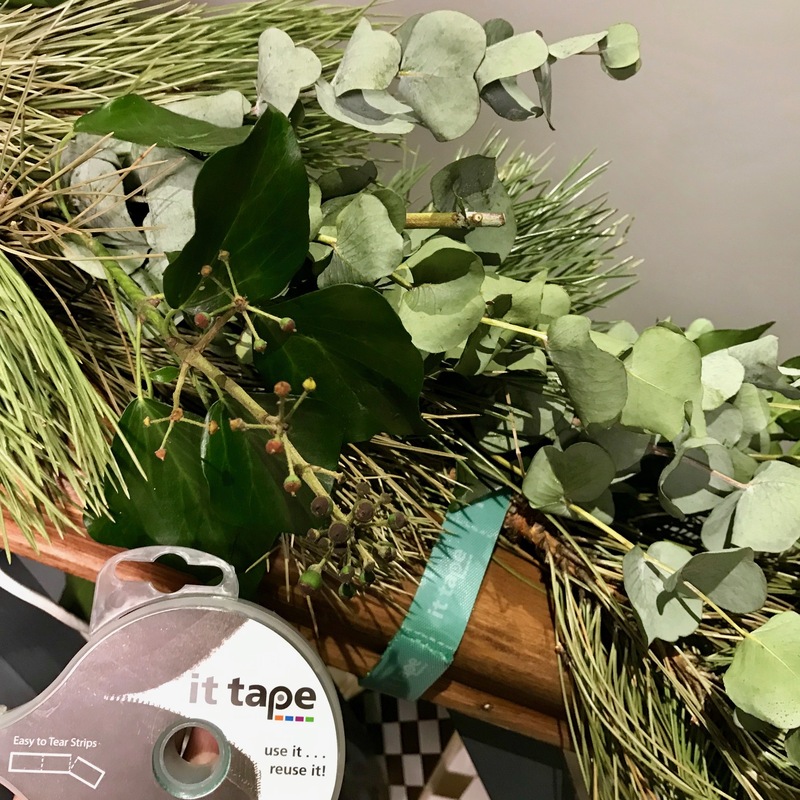 It tape could be used to hang so many decorations in your home, or even Christmas lights on trees outside. The list is endless. I also have some large lights on the stairs. 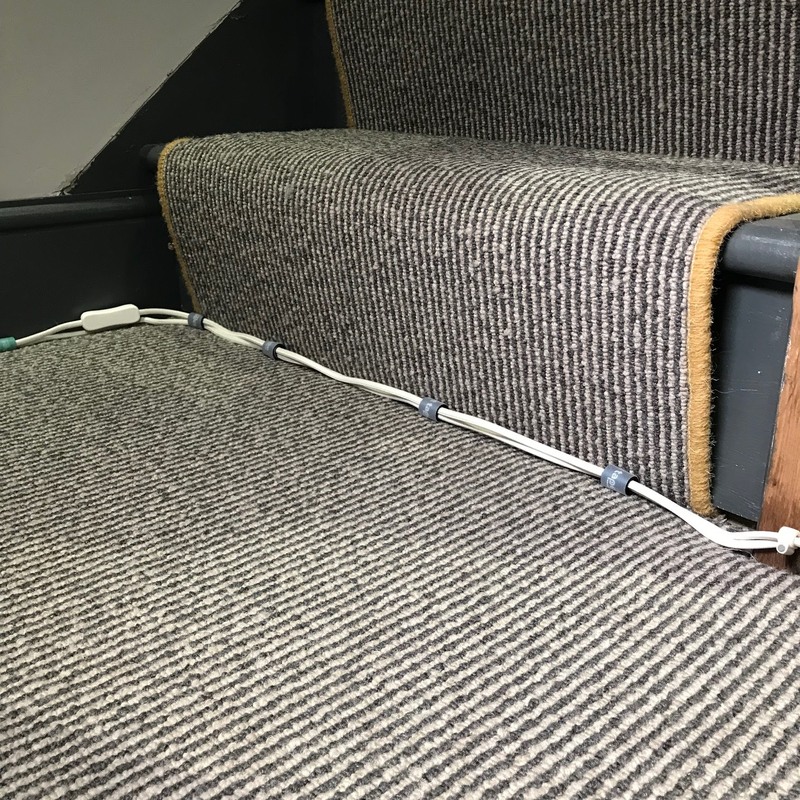 The wires were lying around near the top step. Something had to be done before someone tripped and injured themselves. I used It Tape to secure the cables together. What I also noticed was the tape attached to the carpet, securing it even further in place. This was a pleasant surprise. 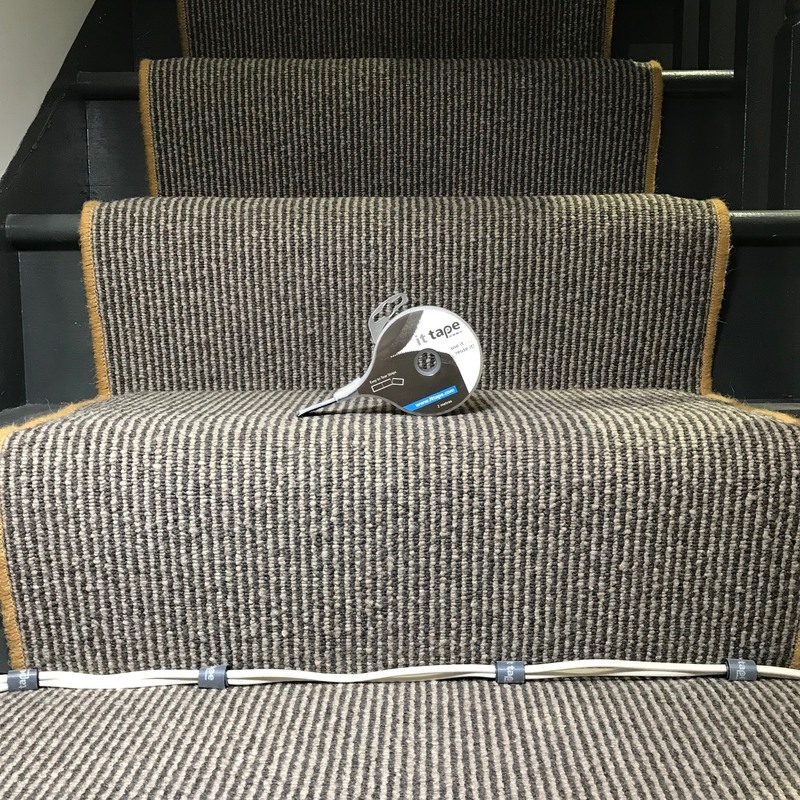 I hate using any sort of sticky tape on my stair runner, so this was the perfect solution. 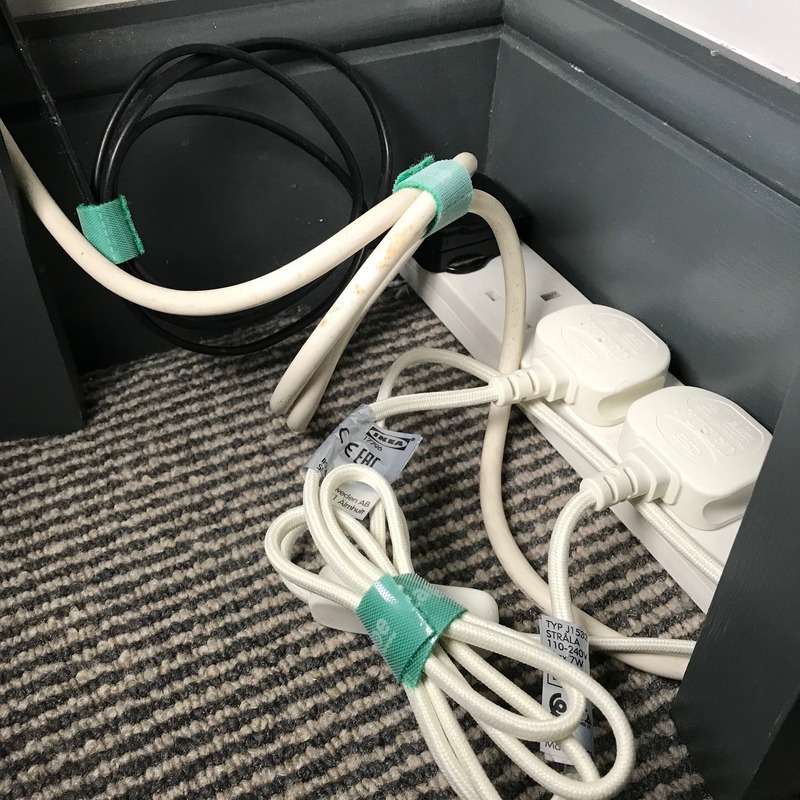 I gathered the cables together at the socket too. It looks neat and is much safer now. As many of you know, I love Instagram and taking photos for my grid. 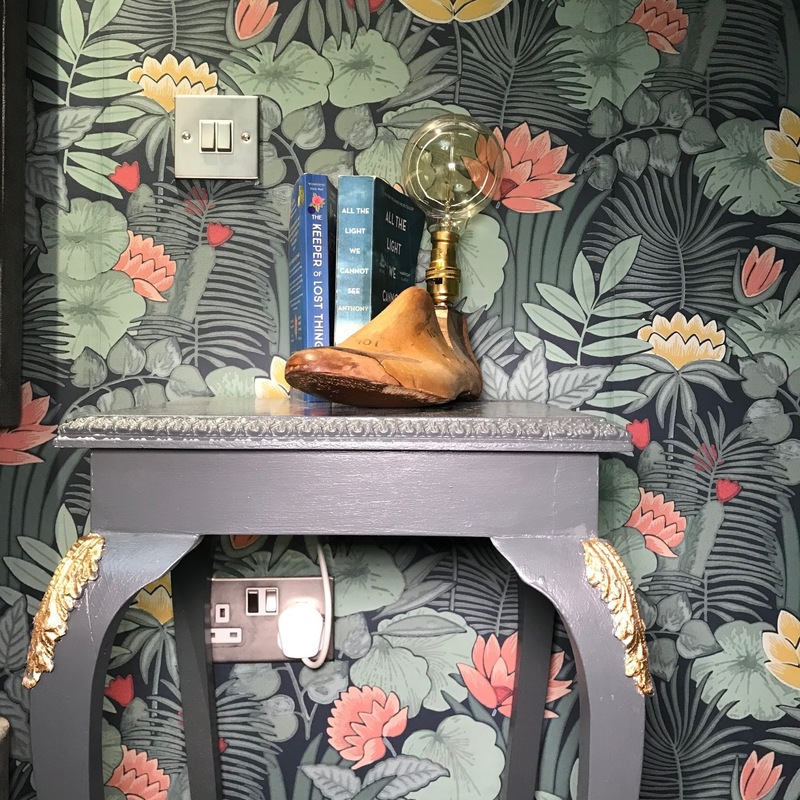 Anyone who posts interior shots will know the struggles us interior lovers face when trying to get the "perfect shot" - sometimes it takes several attempts to get the right photo. Here is an example of how It Tape helped me achieve a really clean, tidy interiors shot. 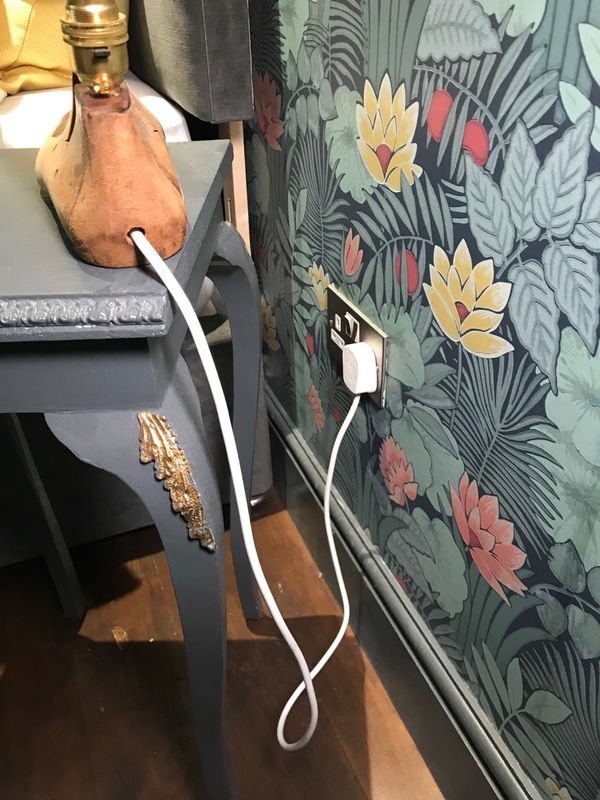 Hiding wires can be difficult and seeing them in photos drives me mad. 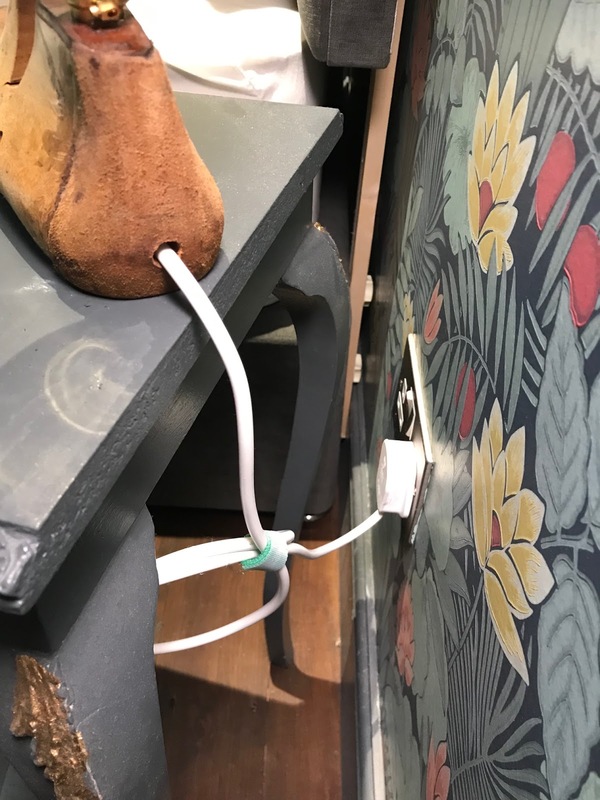 I used It Tape to tidy a lamp cable, so it was out of view. The result - a tidy bedside table and great shot for the grid. It tape is great for tidying up in general. 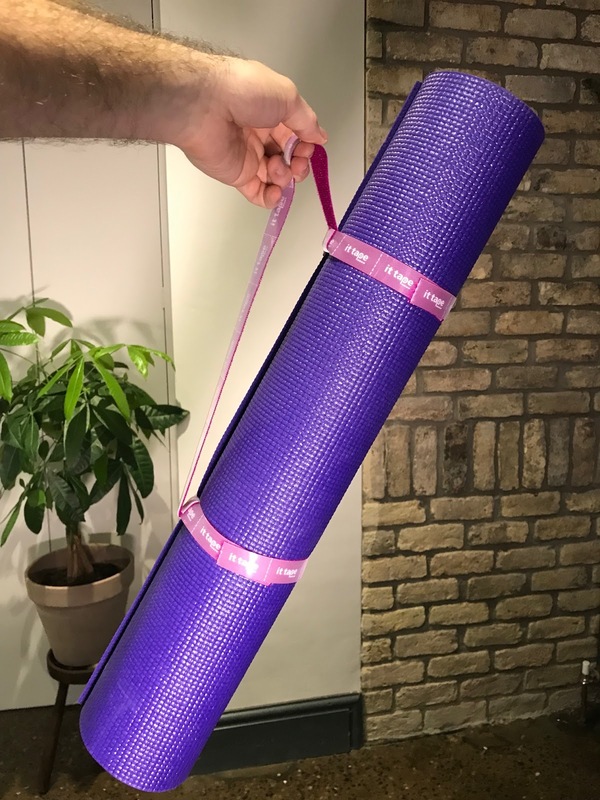 My yoga mat was on the floor in the utility room. 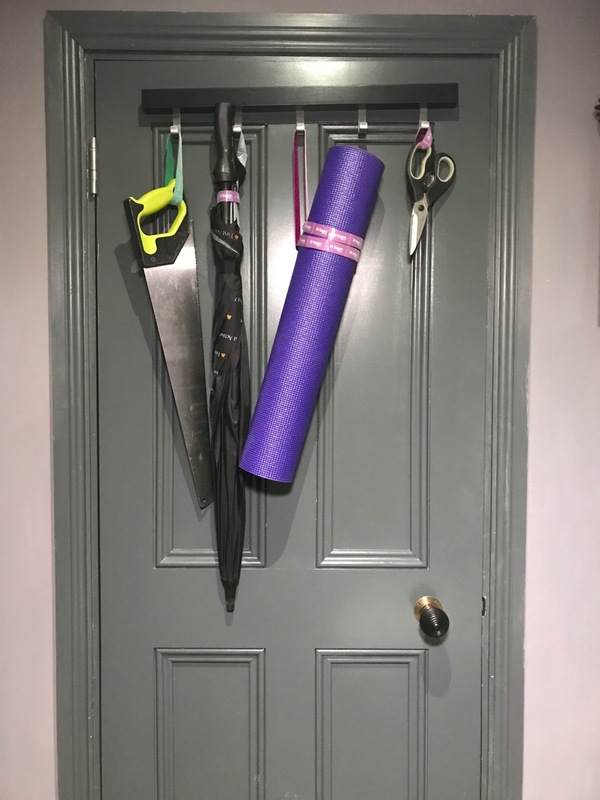 Using the tape, I made a band and handle so I could hang it on the back of the door, along with loads of other DIY bits and pieces. 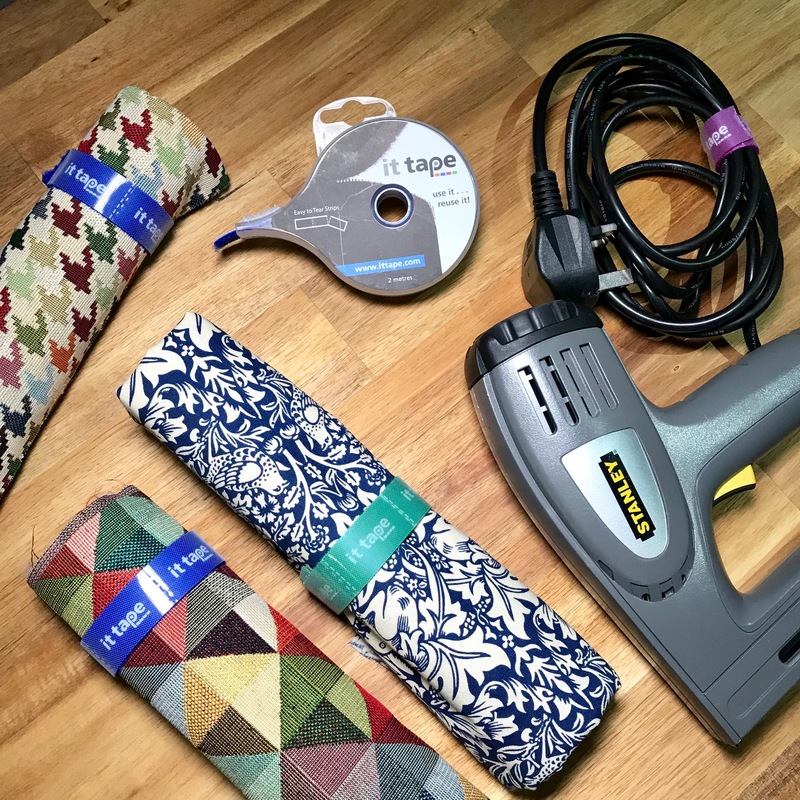 I love upholstery and found several uses for It Tape here. I tore small sections of the tape and used it to keep my fabrics together. It tape was great for binding the cable of my staple gun. I honestly have never been as organised and tidy in my workroom. Organised home, organised mind right? I even found a use for It tape in the office. I use a lot of technology in my day to day work. 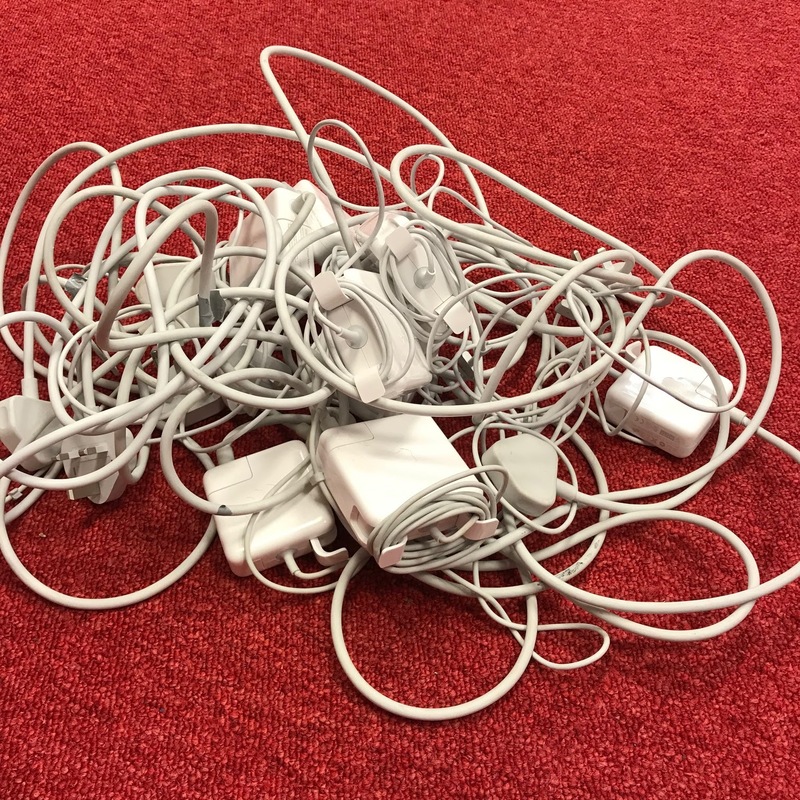 My Mac book chargers and iPhone chargers are no longer in a mangled heap in a box on floor. They are now tidy, organised and accessible. 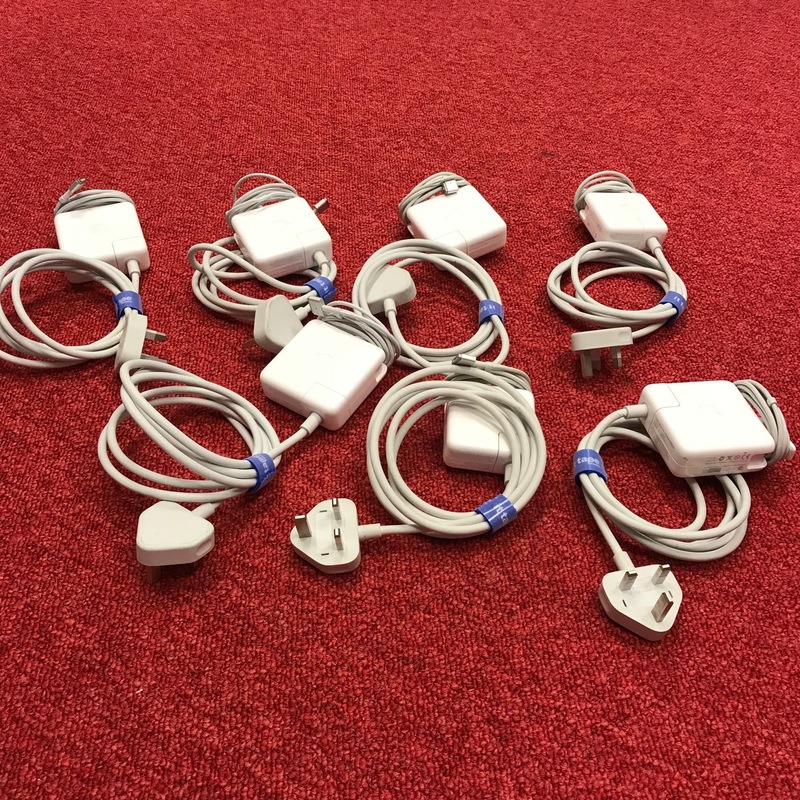 Look away now if the sight of 7 laptop chargers knotted together is distressing for you!! Thank you It Tape for helping to organise my work equipment. Every blogger should have a roll of this in their kit. Overall this tape is a fantastic product. No more knotting and untying string or searching for the scissors to cut it. No more messy cables. Just tidy organised homes. The name is very appropriate too. It tape versatile, strong , durable. As you can see from my post, it is also multipurpose. I personally love that it is reusable. That is so important when we consider the circular economy - there is no waste. Thank you to the folks at It tape for sending me some product to try out. Now that It tape is in my home, it will never leave. I will never be without a roll of it in the house. 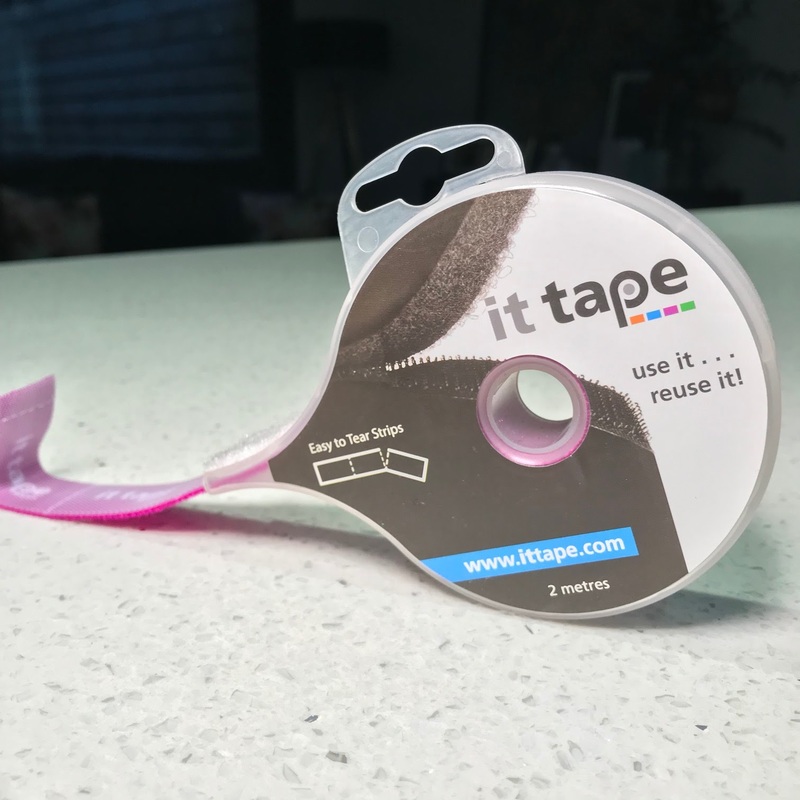 I would encourage everyone to try this product out at home and share your uses with the gang at It Tape. 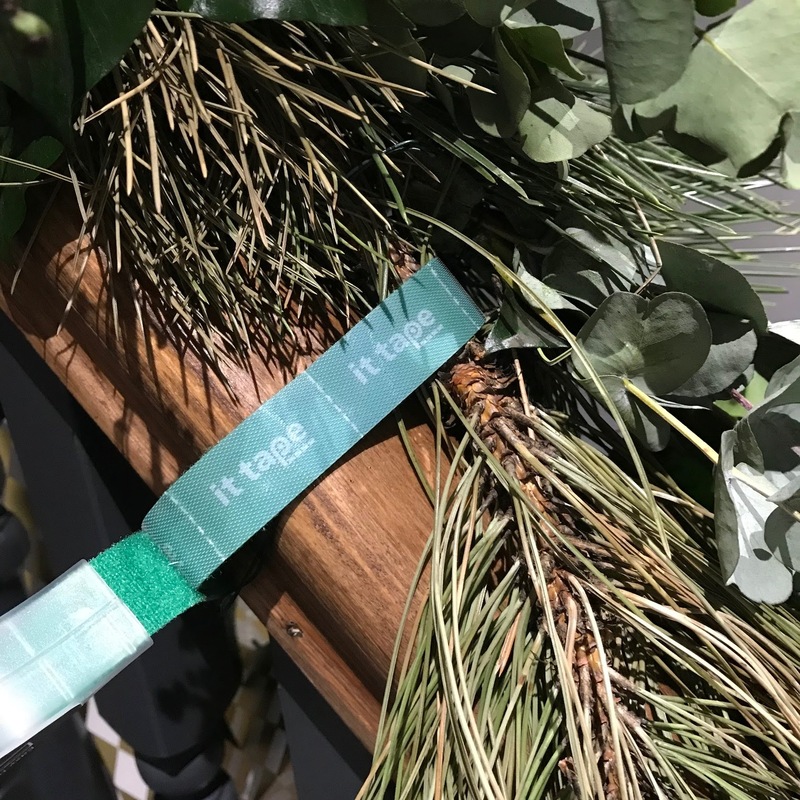 You can find all the details on the product at https://www.ittape.com/ - share your photos and tell your friends! It is easy to store in the glove box of your car, your back pack or even your handbag. 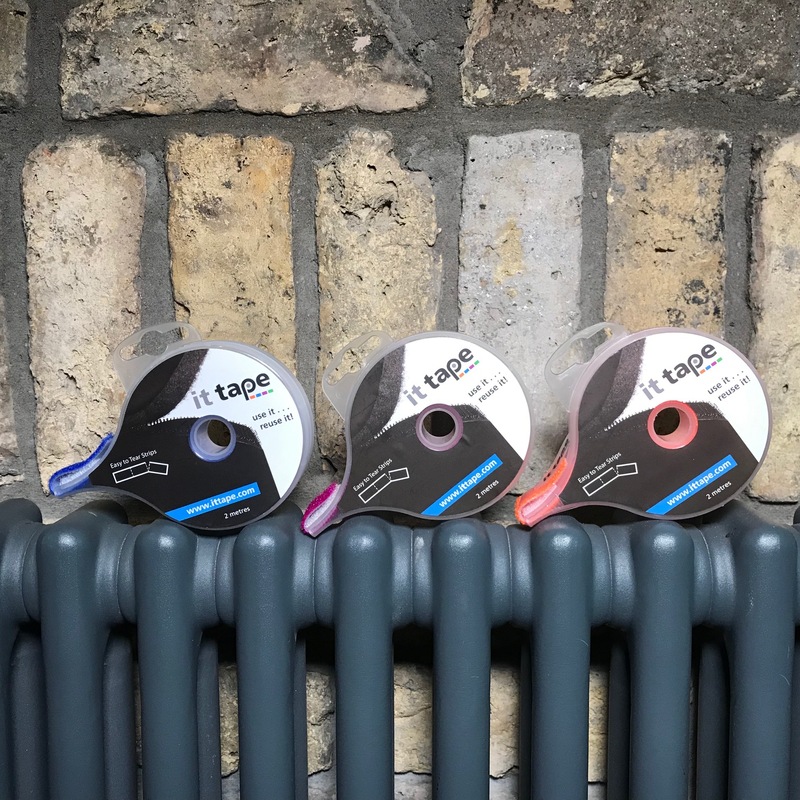 If you are wondering where your nearest stockist is, check out https://www.ittape.com/stores - it tape is available in Arnotts Dublin, Homestore and More, Arro and Homevalue stores Nationwide. I know that this clever product will be making an appearance in several of my family Christmas stockings this year! 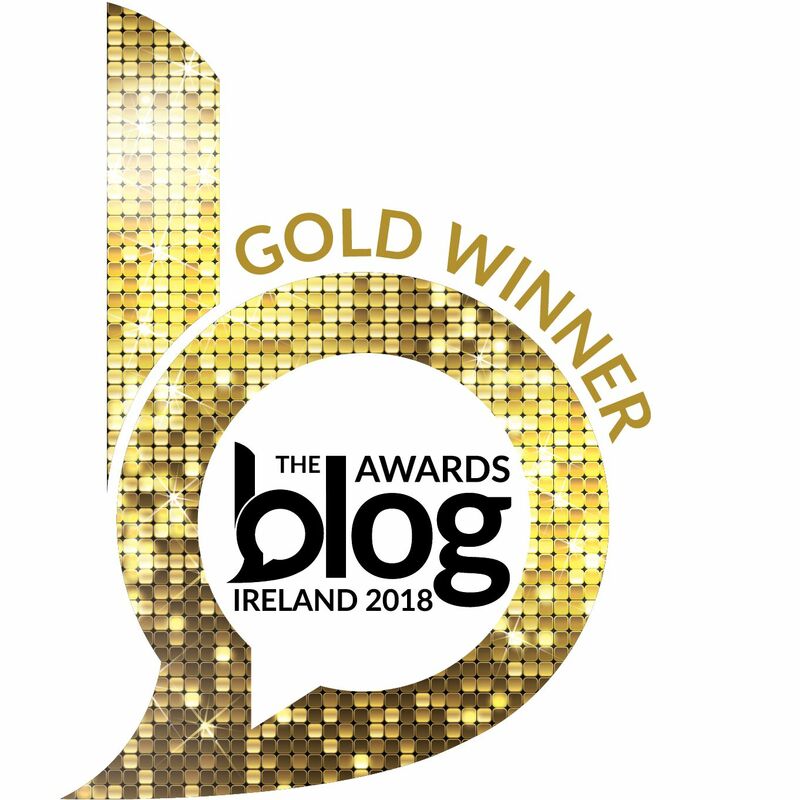 Sponsored: This post was sponsored by It Tape but this experience, images and words are all my own. This page is tell us about the use of the tape. I know that we just want to use it more time and also use it on many different ways. Which is good for us and also good to maintain our working strategies.